Prezentare "Military History," now in paperback, is the ultimate guide to weapons, vehicles, hardware, and equipment of war throughout history. "Military History" is the definitive guide to the evolution of battlefield technology. 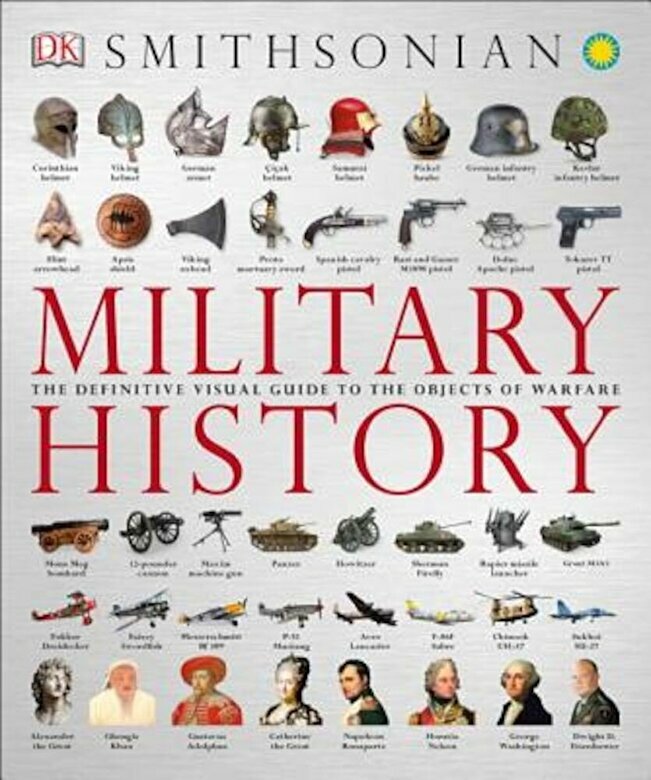 In addition to comprehensively cataloging every significant weapon of each historical age, "Military History" pays particular attention to breakthroughs and advancements that transformed the capabilities of soldiers and the nature of warfare itself. Stunning "virtual tours" offer up-close investigation of key weapons as the book moves chronologically from battle axes to unmanned drones helping trace the history of warfare from a fascinating perspective that's both scientific in its focus and utterly human in its impact. From the siege towers and catapults employed by ancient warriors to the stealth bombers and unmanned drones used by today's armed forces, "Military History" explores in detail the weapons, armor, vehicles, aircraft, and hardware that have made the difference in the heat of battle time and time again."